Cheech Marin introduces his new line of mezcal during Art Miami week—featuring a logo inspired by Einar de la Torre’s sculpture. The openings of “The Flaunting of Youth” by Einar & James de la Torre and “Raw Horse Power” by Generic Art Solutions were among the first events to sample the new mezcal. Cheech Marin owns a “prized Chicano Art collection, one of the most extensive in the world.” Read more about his passion for supporting and elevating Chicano art in this Miami.com article. “The Flaunting of Youth” and “Raw Horse Power” are on view at the gallery through January 14, 2017. At 101 years-old, my father, William Pachner, is a very busy man. Interest in his work remains high in New York and I thought I would take a minute to update you on a couple of recent exhibitions that have featured his work. At present, his work is included in a special exhibit, “Byrdcliffe’s Legacy: Handmade in the 20th Century (An Ode to Nature & Place)” at the Byrdcliffe Kleinert/James Center for the Arts (36 Tinker Street in Woodstock, NY). This exhibit will be on display from August 20-October 9, 2016. Established in 1902, the Byrdcliffe Arts Colony was an important force the Arts and Crafts Movement in America. The Colony supported self-sufficiency, fulfillment in work, and the preservation of local crafts. The work in this exhibit illustrates the fine art and design accomplishments by selected artists and artisans who lived and worked in the Hudson Valley between 1903 and 1999. 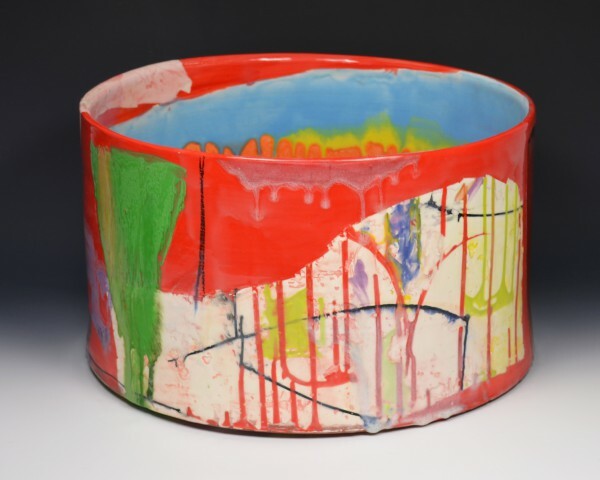 As makers of paintings, prints, photographs, weavings, ceramics, furniture, metal, jewelry and decorative art, the artists in this show produced work aligned with Byrdcliffe’s original pursuit of inspiration from nature and commitment to raising awareness of innovative, high-quality handcrafted work. In addition to William Pachner’s paintings, this exhibit also includes work by such renowned artists as Philip Guston, Yasuo Kuniyoshi, Milton Glaser, George Bellows, Mary Frank, Doris Lee, Judy Pfaf, Carl Walters, George Ault, Robert Chanler, William Hunt Diedrich, and Robert Ebendorf. This spring, my father was honored at the opening of an exhibit, “The Roosevelt Collection,” at the Franklin Delano Roosevelt Presidential Library and Museum in Hyde Park, NY. His illustration of President Roosevelt, which appeared on the cover of Collier’s magazine on January 27, 1945, was prominently featured at this show. On the invitation of the director of the FDR library Paul Sparrow and Laura Roosevelt, the granddaughter of FDR, he returned to the FDR Presidential Library and Museum this summer for its 75th anniversary celebration. Gallery artist Ernesto Garcia Sanchez was among the artists chosen to present work in the 2015 Havana Biennial—the first since US restoration of diplomatic relations with Cuba. The projects included in the Biennial were chosen to have an effect on Havana’s citizens either through the participation in the work or through the presentation of the work as a live social laboratory. 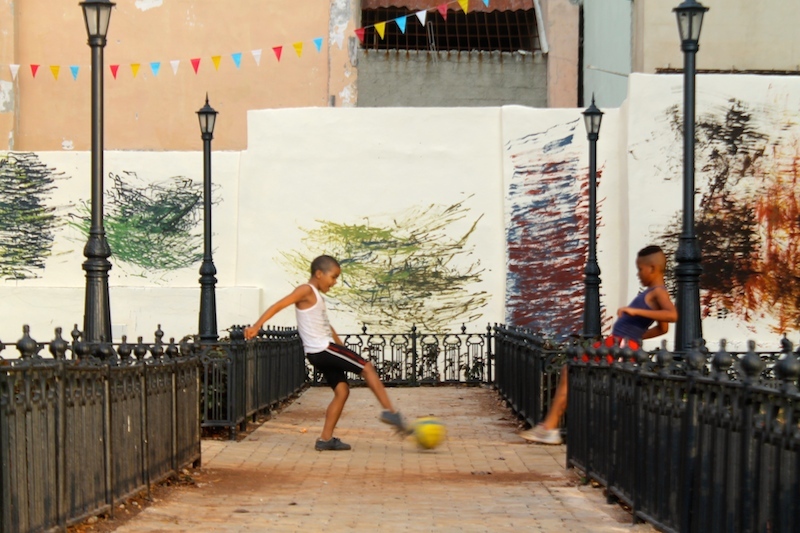 Interdisciplinary works were encouraged, and for the first time the exhibition was not in one place, but stretched the length of Havana’s iconic Malecón, as well as dozens of Havana’s galleries, schools, and museums with contributions from over 200 artists representing 44 countries. The title of the Biennial, “Entre La Idea y La Experienia” (Between Ideas and Experience) brought to life pieces like Sanchez’s, where everyone can access and enjoy art in their daily lives. 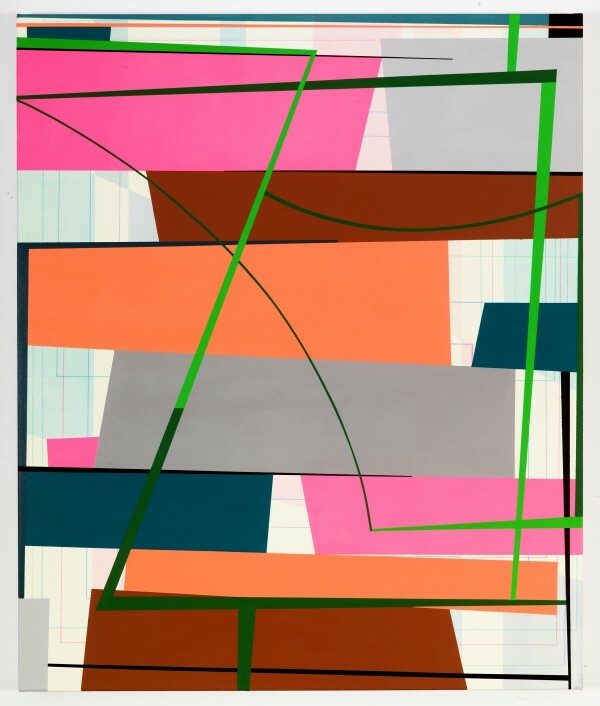 Mindy Solomon Gallery booth #109 at the Texas Contemporary Art Fair October 1-4 in Houston will feature work by Dominique Labauvie, Lauren Mabry, and Gary Petersen. Please join us! Click here for the full fair schedule and ticketing information. 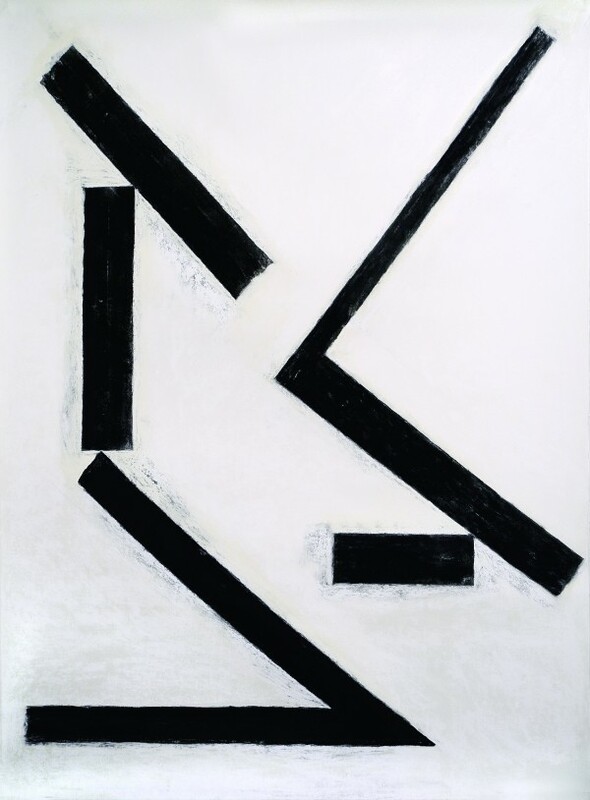 Thanks go out to SRQ Magazine for the great review of Ringling College’s Defining Abstraction, on view through August 5th in Sarasota, Florida. This group show features work by three Mindy Solomon Gallery artists, and the article showcases an image of Bone Shaker by our artist Ali Smith as well as commentary on Smith and our artist Ernesto Garcia Sanchez. Don’t miss more new work by Ali Smith, on view September 11th through October 16th in Fever Pitch at Mindy Solomon Gallery’s new location in Little River: 8397 NE 2nd Avenue, Miami, Florida. The Miami Art Dealers Association (MADA) is honored to present the very first MADA Talks lecture with Mr. Ed Winkleman on April 25th at 7pm kindly hosted by Emerson Dorsch Gallery and sponsored by Art Miami, LLC. The lecture is open to the public and free to all MADA members and Friends of MADA. Mr. Winkleman will give a lecture based on extensive research for an upcoming book, “Selling Contemporary Art: How to Navigate the Evolving Market” (working title), in which he explores how to strategize through a range of shifts in the contemporary art market. Noteworthy factors include: the rise of the “Mega-Gallery”, the increasing importance of art fairs, online sales, and the growing globalization of the art market. Edward Winkleman is co-owner of Winkleman Gallery in New York. Winkleman began his art career with a series of guerrilla-style exhibitions called “hit & run” that took place in empty warehouses in New York and London. In 2001 he co-founded Plus Ultra Gallery in the Williamsburg district of Brooklyn with artist Joshua Stern. Moving into Chelsea in 2006, the space became Winkleman Gallery to reflect a change in ownership. Murat Orozobekov became co-owner of the gallery in 2007. Orozobekov and Winkleman co-founded the Moving Image art fair in March 2011. Focused on video and moving-image based sculptures and installation, Moving Image takes place in New York and London each year. Winkleman is the author of an eponymous blog that focuses on art (in particular, demystifying the gallery system) and politics. He has also been a contributing editor to Art World Salon and is the author of the book How to Start and Run a Commercial Art Gallery and is currently writing a follow-up book tentatively titled Selling Contemporary Art: How to Navigate the Evolving Market. Mindy Solomon is a board member of The Miami Art Dealers Association (MADA), a non-profit organization founded in 2009. MADA was established to promote excellent professional practice and to develop awareness of the visual arts in our community. Through advocacy of education, connoisseurship, ethical business, MADA members are responsible, credible and knowledgeable, and are held to a high standard of professional accountability. Jiha Moon’s son Ollie enjoying our grand old mango tree. What a glorious day in Miami!